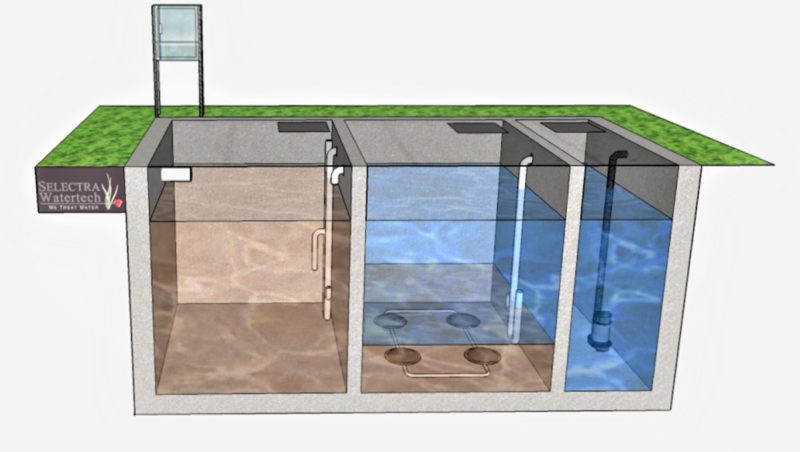 SELECT SBR sewage treatment plants for individual homes and small communities create the perfect environment for natural microbes to breakdown organic matter and pollutants typically found in sewage water. 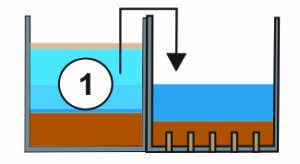 This breakdown of organic matter produces water that is safe for discharge to the environment. 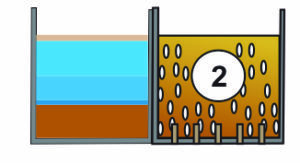 SBR is a wastewater treatment process using activated sludge with aeration and clarification in a single reactor. The process biologically treats the wastewater in batches sequenced through a series of treatment stages. 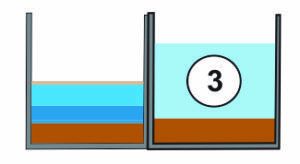 The sewage water is fed into the primary treatment chamber where solids are settled out. The primary treatment chamber is sized to accommodate peak flows, thereby allowing even processing in the biological chamber. The sewage water, now more commonly referred to as supernatant liquor, is pumped into the biological chamber where it is aerated to promote biological degradation though microorganisms in the water. 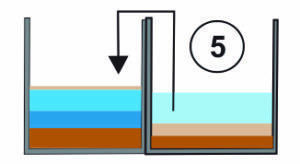 The settling phase of the process allows the live sludge to settle on the floor of the biological chamber resulting in a clear water zone which is ready for discharge. 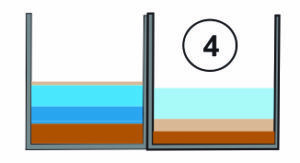 The cleaned water is discharged from the clear water zone to the environment. The live sludge that settled on the floor of the biological chamber is pumped back into the primary treatment chamber to be broken down further and in the process, recharging the system with healthy microorganisms. At the heart of our system is the SMART SBR Controller that operates & and monitors the plant. 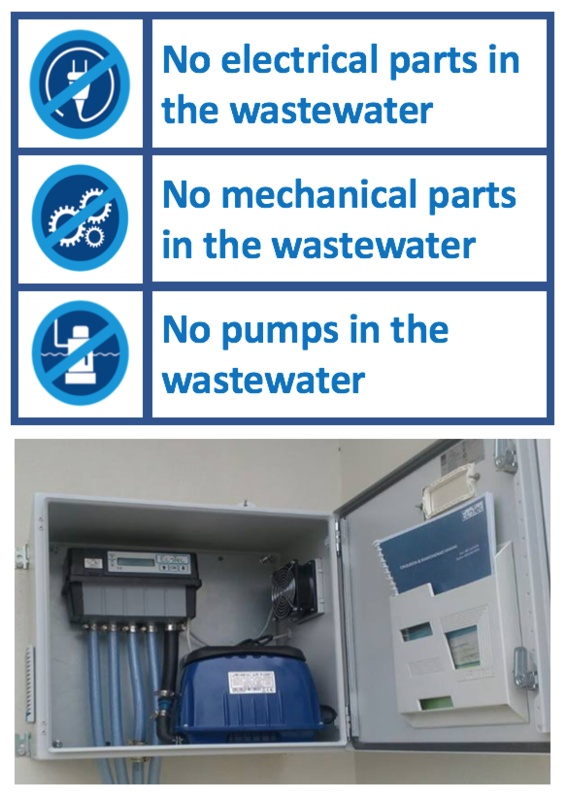 SBR wastewater treatment plants normally use a control unit and a valve module. These are installed separately and have to be connected using costly cables and connectors, and very time consuming. 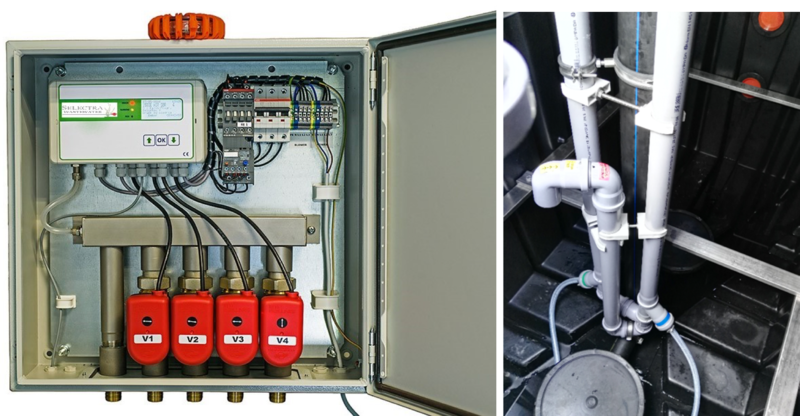 The SMART SBR Controller integrates both, the controller and the valves into a single compact and easy to install device that is quick to install. The SMART SBR Controller has built in pressure sensors that analyse the characteristics of the plant so that it can react to variations in operating loads. 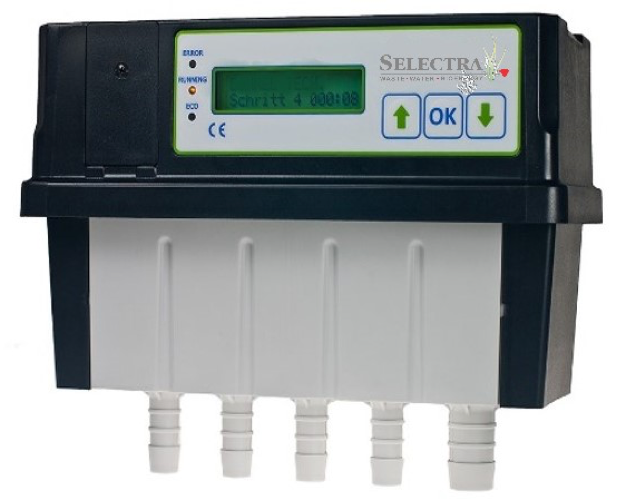 The SMART SBR Controller is fitted with GSM remote monitoring to monitor and send status reports during operation. The SMART SBR Controller has a built-in battery that retains operating information in case of power outages so that the plant starts and stops at the correct cycle. 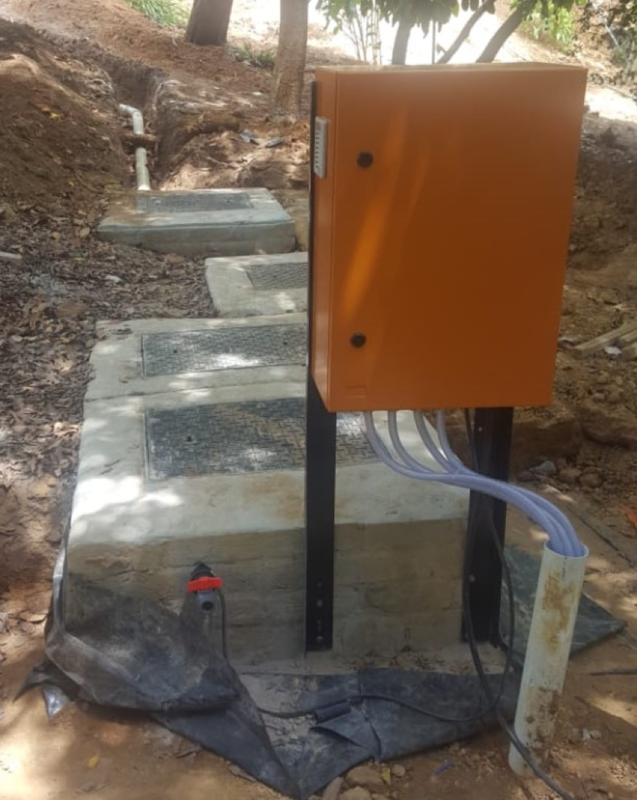 Our design incorporates an airlift pump system for air and water reticulation to ensure long-life and low operating costs. 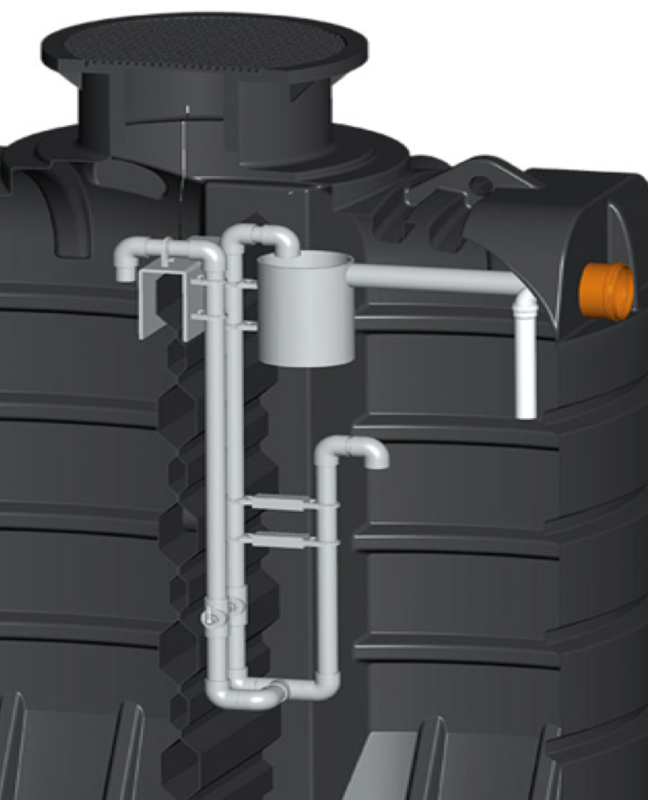 Our designs are free from sewage pumps and mechanical parts that can be blocked or damaged due to unwanted inorganic material that can enter the sewage treatment plant. 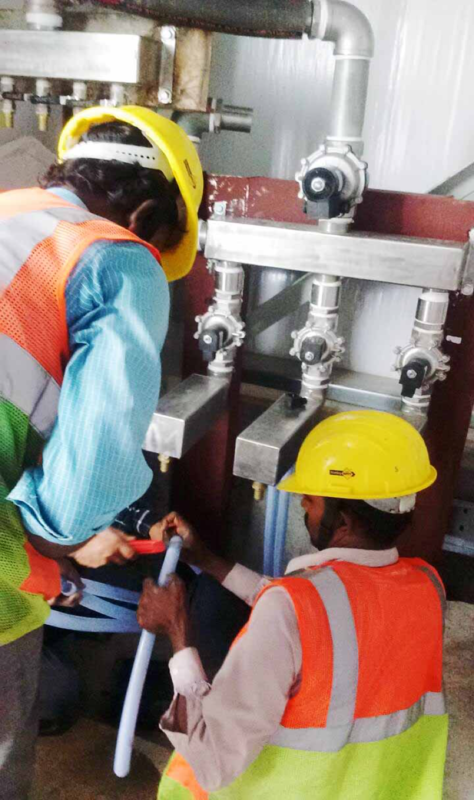 Uses 90% less energy in the air distribution system by using stepped motors and airlift pumps and not solenoid valves and electromechanical pumps. The system “switches off” during idle times. Low energy, low wear airlift water pumps – less prone to clogging from fats & hair. Fine bubble diffuser that maximises the air/water contact area for maximum efficiency. Less air required means smaller compressor, lower power consumption.